A single bronze wound 0.030 gauge Low G 4th string. Polished to eliminate squeak. 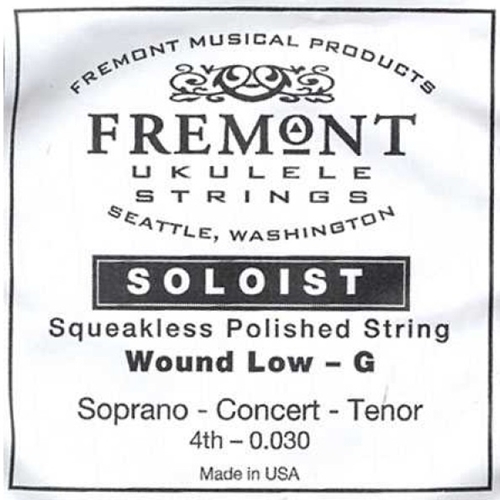 Add to a standard soprano, concert or tenor set to get Low-G tuning.